I had a pilot at HBO that Catherine Keener was going to be in. The whole series takes place on one day. The premise of the show is that there are so many different accidents in your life that lead you in different directions, and as you look at someone’s life from birth to, let’s say, 50, there are so many different versions of that life that could have happened. My idea was that you take this woman, she is this age on this day, that’s the only given, and then each episode is based on a different route. Maybe it broke off here and the difference is very small; maybe it broke off when she was a baby, in which case it’s a completely different life. In the course of the series, you start to recognize, first of all, there’s clues given as to what these things were that happened that changed the course of her life. But there are also similarities in all these different versions of herself — about who she is. What I thought was really cool about the show, in addition to the premise, which I really liked, is that there’s no one right version of it. You can watch this in any order, and it’s a different show. The example that I like to use is that in one episode, she’s married to this man and you see their life together. In the next episode, she’s divorced from this man and you see her life having been divorced from this man. In a third episode, she and this man walk by each other on the street, clearly have never met. And depending on which order you watch the series in, there are different a-hamoments. So what happened with it? I wrote a first episode, and then they wanted to see a second episode because they weren’t sure what it was going to be. So I wrote a second episode. And I decided to make the second episode very, very different, so that they could see how it could be very, very different. The response I got from them was, “Well, I don’t see how this could be the second episode. It’s so different.” And it’s like, “Well, no. I’m not saying it’s the second episode. I’m saying it’s another episode. This isn’t like the order that the show has to go in if we want to establish the premise.” It may not be the real reason they didn’t want to do it, but they could not remove that idea from their head. Ultimately, they didn’t go ahead with the series. This is clearly a genre that will work best on interactive platforms. The significant thing here is that both Charlie Kaufman and Kate Atkinson, Hollywood/experimental filmmaker and mainstream/experimental British novelist are conceiving of extended replay stories of this kind. This entry was posted in Interactive Narrative, Uncategorized, VI Onward with Invention! 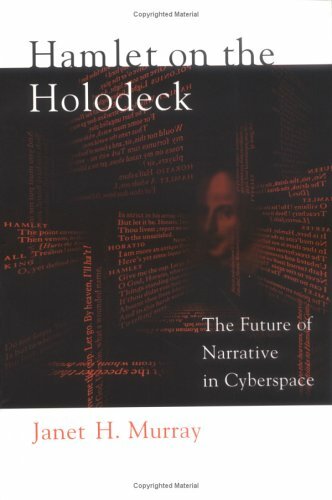 and tagged Hamlet on the Holodeck, Replay Story. Bookmark the permalink.